The professional and flexible MXF converting software, offers best transcoding solution to MXF video to editable video formats in 2D/3D modes easily. Trouble editing MXF footage because of compatibility issues? Can’t play MXF videos in Windows Media Player or QuickTime? Your troubles are over. Acrok MXF Converter, an easy-to-use and intuitive tool for Canon, Sony, Panasonic, JVC, RED MXF Camcorder users, lets you transcode MXF videos to native codecs like Apple ProRes, Apple Intermediate Codec, DNxHD, H.264, MPEG-2, H.265 which ensure the best results for editing with your video editing software like Final Cut Pro (X), iMovie, Final Cut Express, Avid Media Composer, Adobe Premiere Pro, Sony Vegas Pro, etc. or to optimized preset formats to fit IOS, Android and Windows devices (iPad Pro, Surface Pro, Galaxy Tab, etc.). Besides conversion function, the software also provides you with free playback function. You can play the MXF file on Windows or Mac via full screen. So we call it free MXF player. 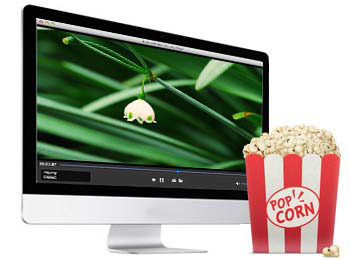 If you download and try this Windows or Mac MXF Converter, you will find more surprises. 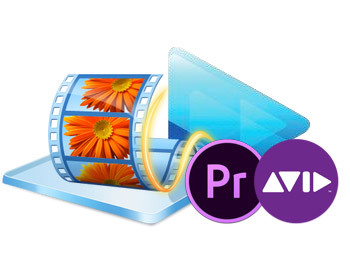 It is the best way to resolve the problem of importing MXF files recorded by your camcorder in Final Cut Pro, Premiere Pro and other professional video editing software. It supports optimal profiles for certain editing software, like Apple ProRes, DVCPRO, HDV, Avid DNxHD, XDCAM, H.264, MPEG-2, and Apple InterMediate Codec (AIC). With this best MXF Converter, you can edit your video recordings into Final Cut Pro, iMovie, Final Cut Express, Adobe Premiere Pro, and Avid Media Composer, Sony Vegas Pro for professional editing. Acrok MXF Converter is able to encode MXF files to various other video formats with the original HD quality file formats including MP4, MPG, MKV, MOV, WMV, AVI, VOB, M4V, etc. on Mac OS X or Windows. In addition, it includes a wide array of preset popular device profiles (iPad Pro, iPhone 6S, iPod, Apple TV 4, Samsung Galaxy Tab S2, Google Nexus 6P, HDTV, Motorola Moto X, Sony Xperia Z5, HTC A9, etc.) which allows you to convert MXF directly for a device model instead of certain media format. For MXF camcorders or cameras users, this MXF Converter brings peerless using experience. High quality conversion with zero quality loss, unmatchable converting speed, humanized feature design, user-friendly interface and simple operation, all these are reasons why Acrok MXF Converter worth a try. Acrok MXF conversion software upgraded to support converting video to H.265. 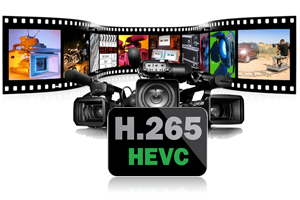 You can convert your different video files like MXF, MTS, WMV, AVI, MP4, FLV, MOV, M4V, MKV, MPEG, MPG, VOB, AVCHD, XAVC/XAVC S and others video files to H.265/HEVC format since it’s the best format for video experience. Sony XDCAM MXF camcorders PDW-U1, PDW-U2, PMW-320, PMW-350, PMW-500, PMW EX1R, PMW-F3, XDS-1000, XDS-PD1000, XDS-PD2000, PMW-100, PMW-160, PMW-200, PMW-500, PMW-50, PDW-700, PDW-F800, PDW-HD1500, PDW-HR1, PDW-F1600, PDW-F350L, PDW-F330L, PDW-F335L, PDW-F355L, PDW-F30, PDW-F70, PDW-F75 , PDBK-101, PDW-510, PDW-530, PDW-V1, PDW-R1, PDW-1500, etc. Panasonic MXF XDCAM Panasonic CR-P2, AG-HPX600, HVX200, AG-HPX 250, BT-LH2170, AG-HPX265, AG-HPX500MC, AJ-HPX3100MC, etc. Others JVC GY-HM850U, JVC GY-HM650U, Blackmagic Design camera, Ikegami HDS-V10, etc. 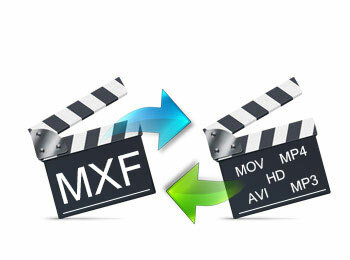 “MXF” is the abbreviation of “Material eXchange Format”. MXF, which is not a video format actually but a “container” or “wrapper” format which supports a number of different streams of coded “essence”, encoded with any of a variety of codecs, together with a metadata wrapper which describes the material contained within the MXF file. It is one of XDCAM multiple video compression methods and media container formats. Equipment that uses Professional Disc as recording media employs MXF container to store digital audio/digital video streams. Files that contain the .mxf file extension are often referred to as the digital equivalent of video tape. These files contain video and audio data as well as other data bitstreams. They can be used in video recorders, cameras and on computers. The MXF file format is a container format and MXF files can be converted into other video formats when needed. However, the proper video codec must be present in order to play the video that is contained in the MXF container file.